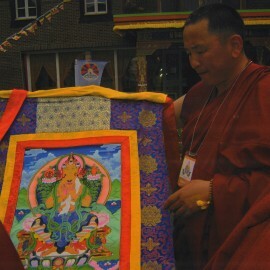 Tsogtsaikhan Mijid created and gifted the large scale “Maitreya” Thanghka with silk embroidery by his wife Batkhishig Batochir to his Holiness the 14th Dalai Lama on his anticipated visit to the Tibetan Mongolian Buddhist Cultural Center in Bloomington Indiana on May 11th, 2009 (details below). 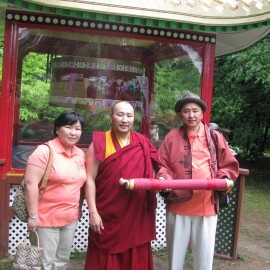 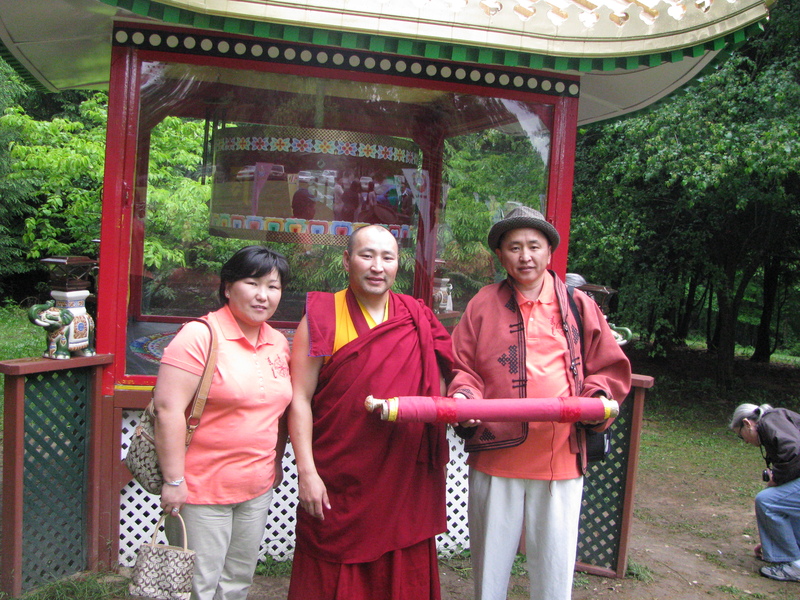 Tsogtsaikhan traveled to Bloomington, Indiana with fellow Colorado Mongolian Buddhist Class “Dharma Wheel”. 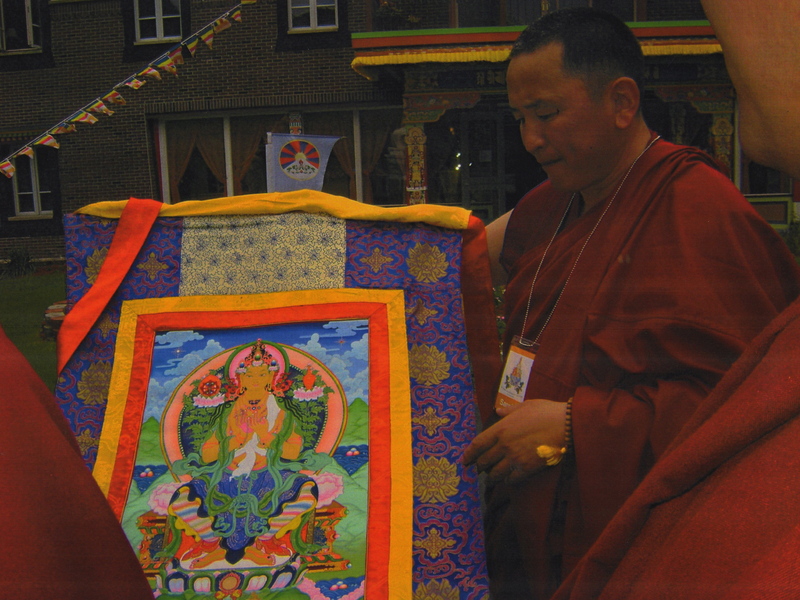 His Maider Thangka was created in recognition of the Mongolians in Colorado. 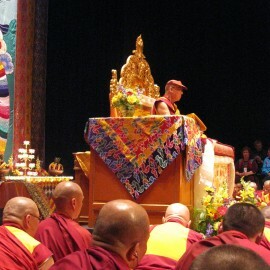 Bloomington, IN, USA, 11 May 2010 – His Holiness the Dalai Lama arrived in Bloomington, Indiana, this afternoon on the first leg of his tour of the United States. 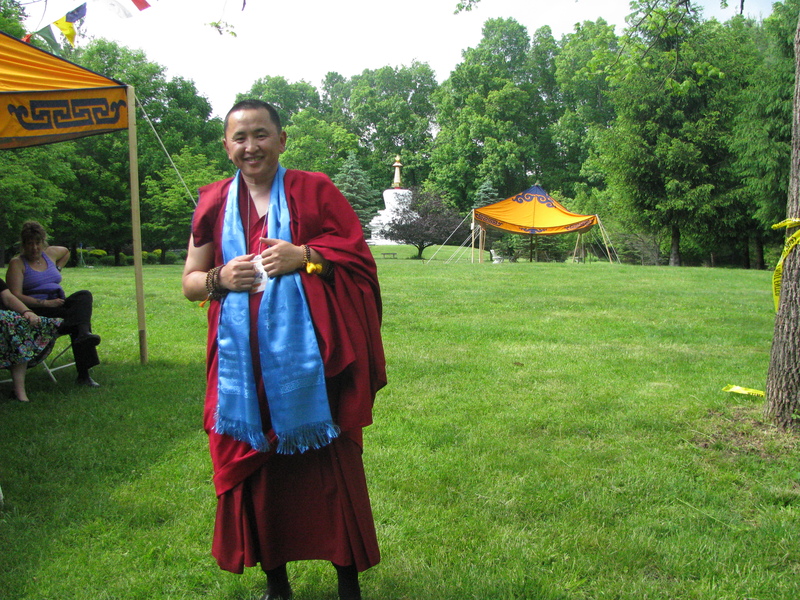 On his arrival first in Chicago from Europe, His Holiness was received by Kasur Lobsang Nyandak Zayul, Representative of H.H. 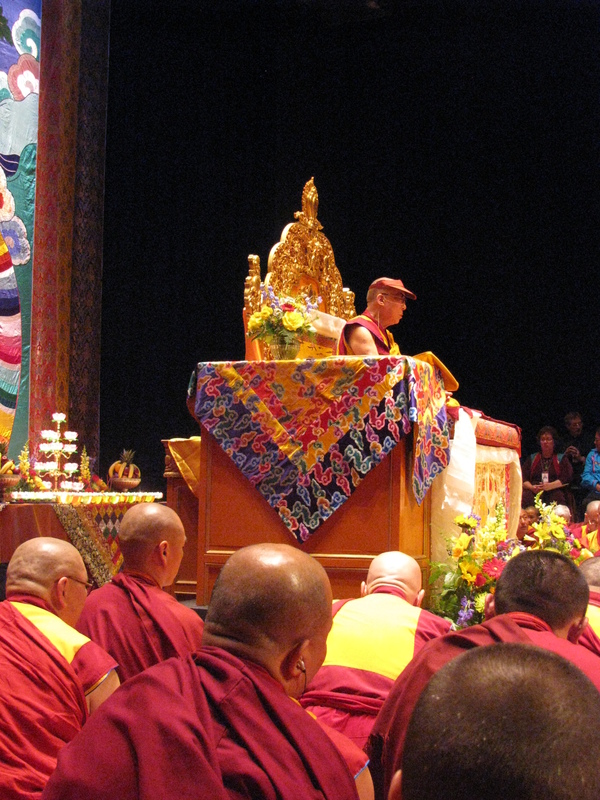 the Dalai Lama to the Americas. 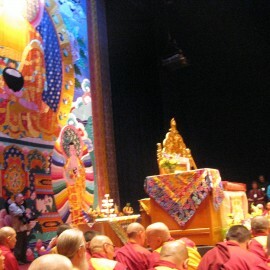 The President of the Tibetan Association in Chicago was also there to receive His Holiness. 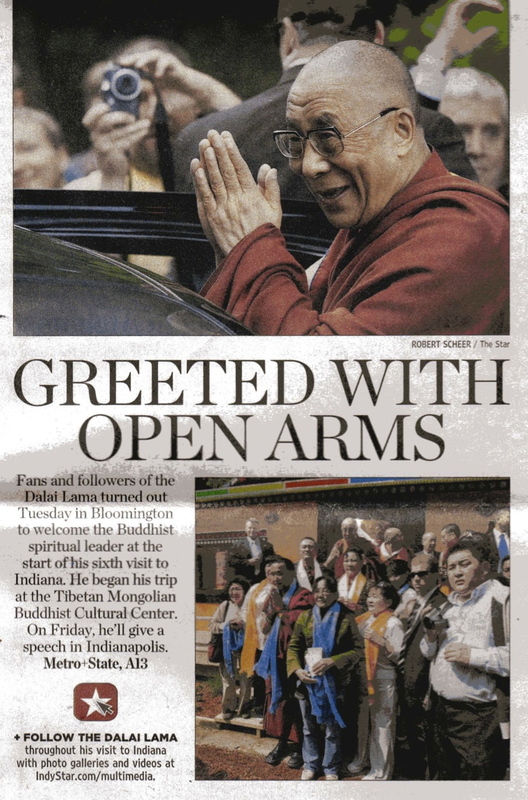 On his arrival in Bloomington, His Holiness was received at the airport by Arjia Rinpoche, Director of the Tibetan Mongolian Buddhist Cultural Center, which is hosting His Holiness in Bloomington, along with some board members of the Center. 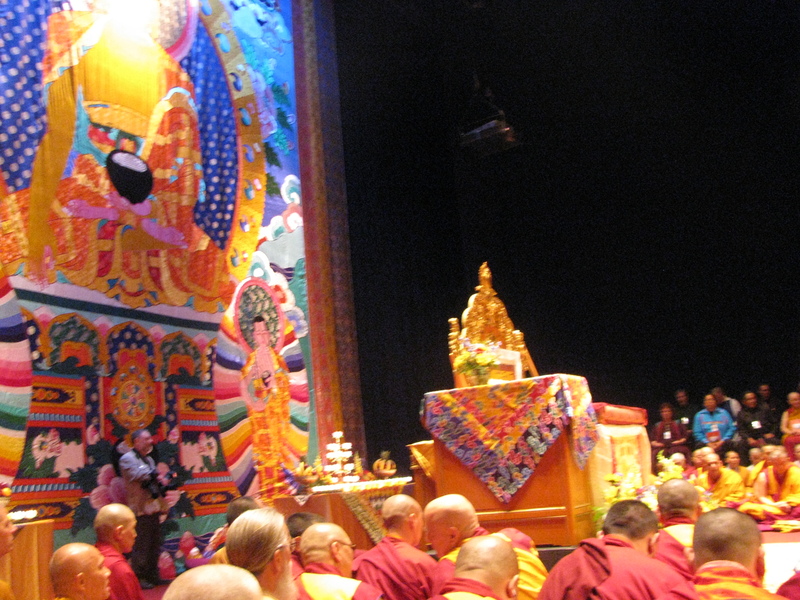 As His Holiness’s vehicle entered the ceremonial gate of the Center, children from the Tibetan community in Chicago performed the Tashi Sholpa dance. 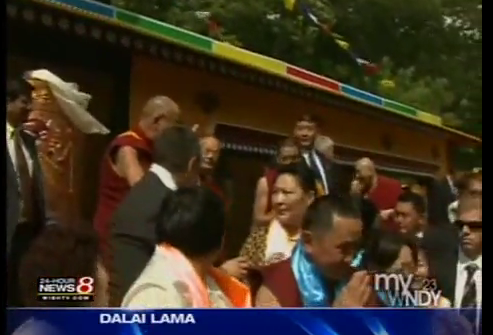 There were staff and supporters of the Center, including Tibetans, Mongolians, Japanese, Chinese, Americans and others, who stood beside the road, festooned with Tibetan and Buddhist flags, to welcome His Holiness. 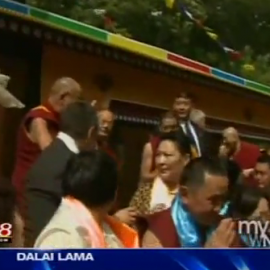 His Holiness blessed the newly constructed prayer wheel pavilion before proceeding to his residence. 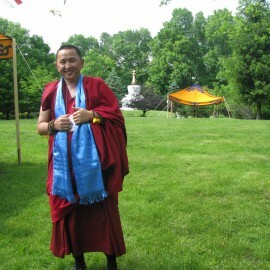 Among the lamas who received His Holiness at the entrance to his residence were the abbot of Gomang Monastery, Geshe Yonten Dhamchoe, the abbot of Tashi Lhunpo Monastery, Kachen Lobzang Tsetan, the abbot of Gandantegchinlen Monastery in Mongolia, Khamba Lama D. Choijamts (Choekyi Gyatso), Telo Rinpoche, head of the Kalmyk Buddhists of the Russian Federation, as well as the abbots of Erdene Zuu Monastery and the Kalachakra Temple also in Mongolia and the President of the Indiana Tibetan Association. 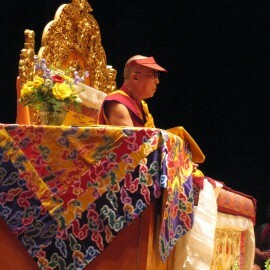 His Holiness’ teaching program begins on May 12, 2010 in Indiana University’s auditorium. 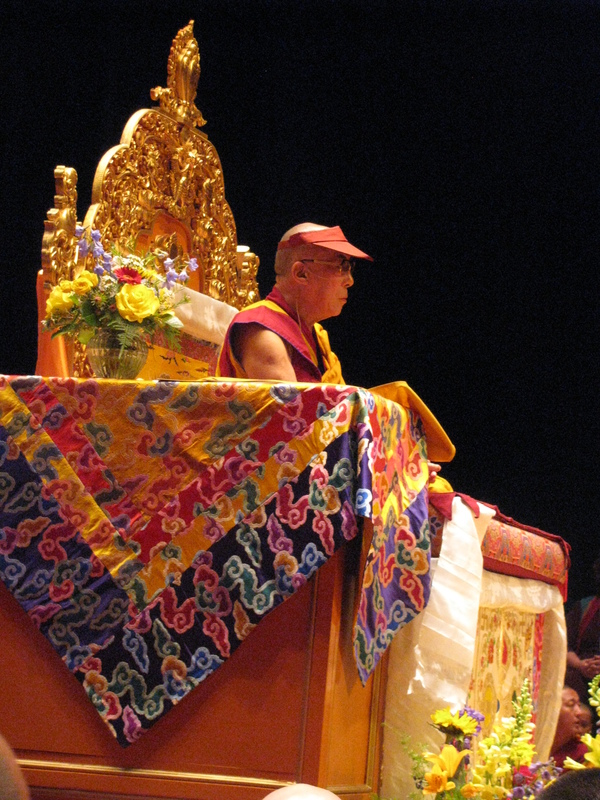 His Holiness is accompanied by Secretary Chhime R. Chhoekyapa and Secretary Tsegyam for this US visit.